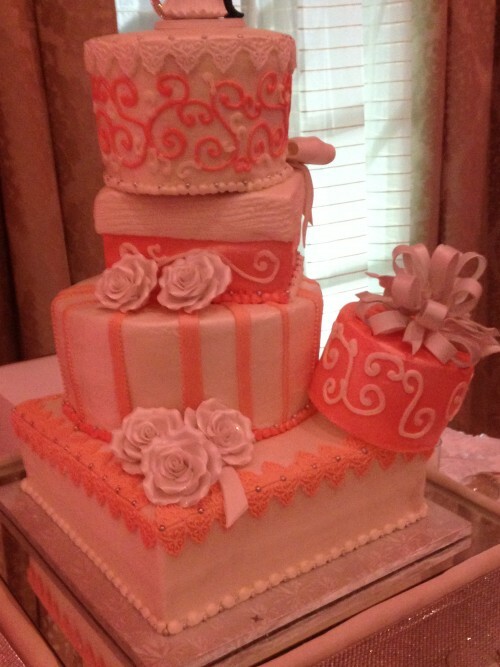 Tier Cakes have always been in fashion and the most popular pick for Wedding Cakes and Birthdays. But it will be interesting for you to dig deep into the history of Tier 1 and Tier 2 Cakes you will be rather appalled to find out that there was a reason why these Cakes came into fashion. It was during medieval times in Britain when the wedding Cakes were made out of wheat and it symbolized fertility. As per the tradition several baked items were mounted against each other and the higher they were placed the better it was. It was expected out of the couple to kiss over the mound and if they manage to kiss each other without toppling up the pile, they were assured with a lifetime prosperity. The stacking of the baked items, one over the other looked highly uncivilized and messy and it was then when a French Chef suggested them to go for tiers which look quite neat and tidy instead of using sawn off broom handles which wasn’t accepted whole heatedly then. It was during the 17th century when ‘Bride Pie’ came into the picture. This consisted of sweet breads, pie’s and sometimes even mutton pies too. Within this bride pie was a hidden glass ring, the woman who could find the glass ring was supposed was supposed to be the next probable girl to get married. The marriage of Queen Victoria and Prince Albert set the fashion of white flown gowns and tier cake in fashion. Since sugar was available at a cheaper price so it became easier for everybody to come up with the tier cakes for Wedding Anniversary but after the World War II, rationing led to ordering of smaller cakes. Nowadays, you can go for online Anniversary Cakes which are not only made available at an affordable price range but also come in intricate designs and patterns which will make it hard for you to be able to resist it. You can choose from your favorite flavors that are available with these online stores ranging from the usual Chocolate, Vanilla and Butterscotch to some exotic flavors like Red Velvet, Tiramisu Mango and Blueberry Cheesecakes to name a few. With the onset of online cake delivery you can get the cake delivered to not only to all the metro cities but some international countries too viz. U.K, U.S.A, Germany, Australia, Singapore and many more to list down. You can even get your personalized message iced on the cakes be it tier one and tier two cakes.